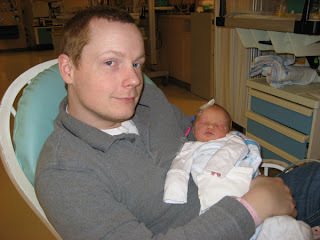 Reese's Pieces: More pics from the hospital. Hi again. Boy it's tough being a baby. I am still in NICU. I'm doing better, they are just watching me alot, making sure I don't turn blue. 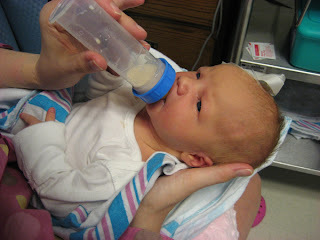 I'm learning to nurse some and take some food from the bottle too! I like to sleep, hold mommy & daddy's hands, be rocked and also like my back rubbed. what can I say,..I'm spoiled at the ripe old age of 2 Days Old! 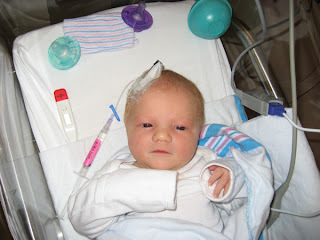 Here's some pics,... don't mind the IV in my head. That's how I get my medicine. Don't worry, I have a hard head & thick skin like my folks! I have fun playing with my hands! 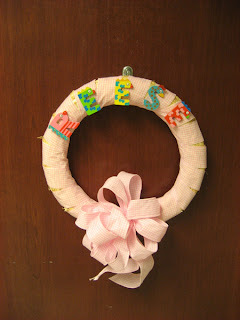 This is the pretty hospital room door decoration with my name on it. 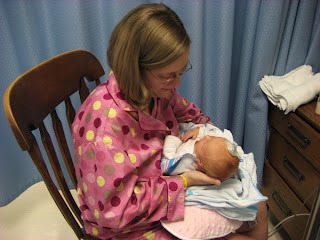 I am so glad to see you have a blog so I can see little Reese grow. She is so precious, and I am glad to see she is doing well despite the episodes. Little Reese is precious! We can't wait to meet her. Best wishes for a lifetime of happiness!